Becoming a Delta Pi sister will change your life! Being a part of our sisterhood is a journey; one of growth through leadership opportunities, creating positive relationships, and fostering lifelong friendships. Our core value is sisterhood. Like our motto says, Delta Pi really is a "Sisterhood to Last a Lifetime". Our sorority is composed of strong and confident young women, who are proud to call each other not only friends, but sisters. We are able to trust and rely on each other knowing that our sisters will always offer guidance and strength. An important aspect of our sorority and heritage is philanthropy. We are actively involved every year in raising funds and awareness for different organizations. Our main causes are the Princess Margaret Cancer Foundation, McMaster Children’s Hospital and the Guelph Wish Fund for Children. We also support the efforts of other sororities and fraternities within the Greek community and their philanthropic efforts. Delta Pi Sorority is historically a Jewish sorority. We are proud to embrace our heritage and culture. 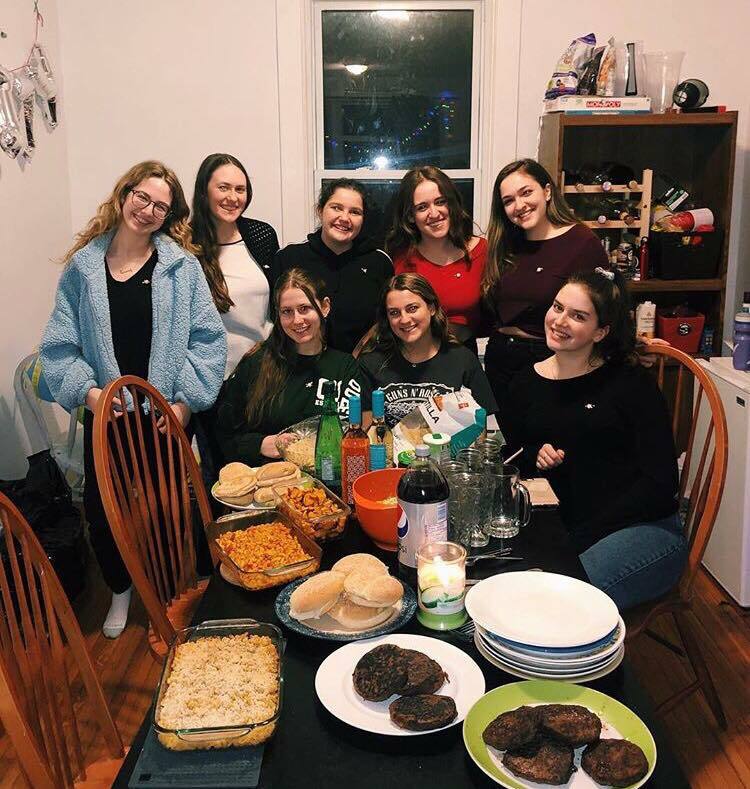 We maintain our roots through events such as Shabbat dinners, holiday celebrations, volunteering and remaining active throughout the Jewish community. Although we are a Jewish-based sorority, Delta Pi welcomes members of varying faiths. The Delta Pi Sorority strives to create a positive impact on our communities by encouraging volunteering, participating in campus activities and hosting events for the public. The sisterhood regularly undertakes philanthropic endeavours and seeks out ways to give back to others. The sisters of Delta Pi enjoy immersing ourselves in Greek life on campus by spending time with fellow fraternities and sororities. Most importantly, joining Delta Pi will introduce you to incredible, like-minded young women who have a fervour for life. Many sisters have formed lifelong friendship and embody our motto of sisterhood to last a lifetime. 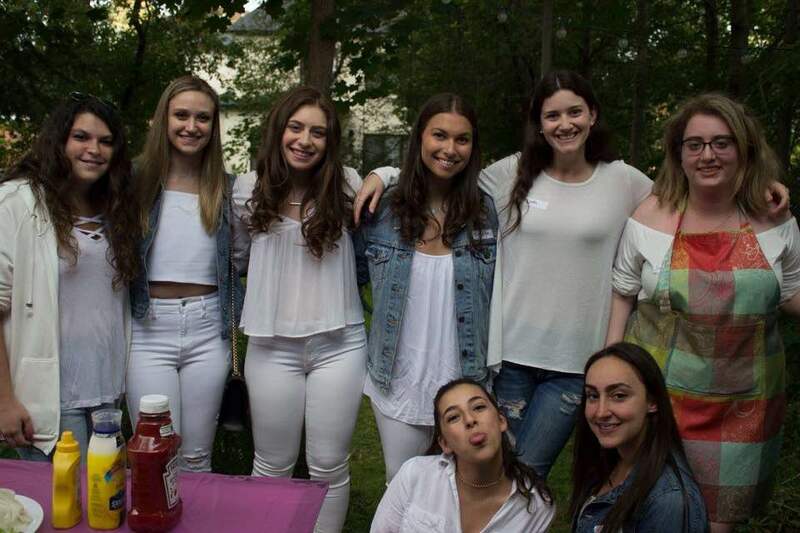 Whether you are a student in the Greater Toronto Area, at McMaster University or the University of Guelph, becoming a sister of the Delta Pi Sorority will not only make your university experience, but will open the doors to incredible experiences and meaningful connections. 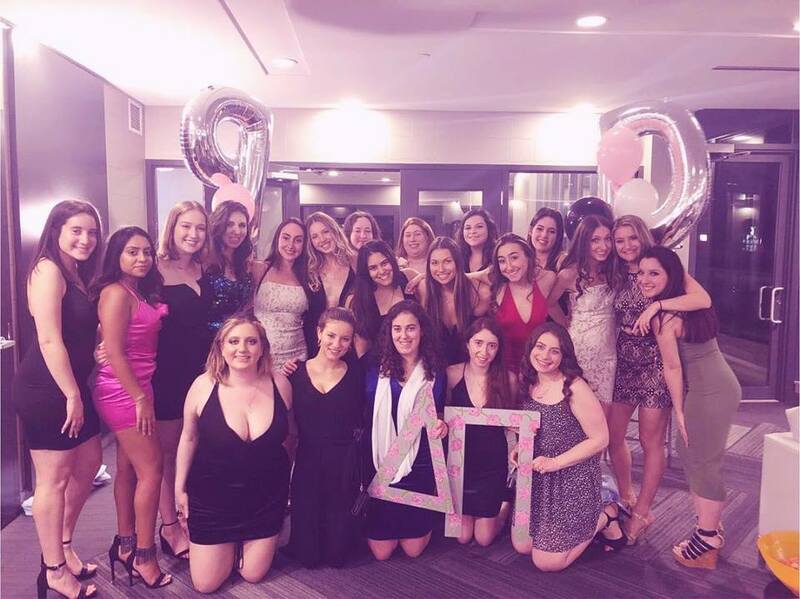 Delta Pi's Alpha Chapter (located in Toronto) was founded on November 2, 1989. 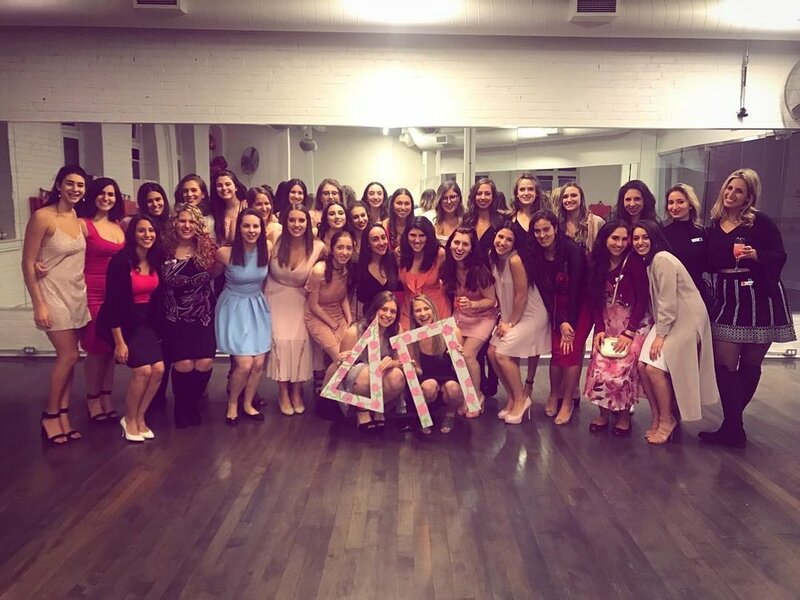 In 2012 the Beta Chapter of the Delta Pi Sorority in Hamilton was founded through the efforts of the 2011-2012 Alpha Chapter Executive Board and in 2015, the Gamma Chapter of the Delta Pi Sorority in Guelph was founded by the 2014-2015 Alpha Chapter Executive Board. Most recently, the Delta Chapter of the Delta Pi Sorority in Kingston was founded through the efforts of the 2018-2019 Alpha Executive Board. Each chapter of the Delta Pi Sorority holds annual fundraisers for its respective charity. The Alpha Chapter supports The Princess Margaret Cancer Foundation, the Beta Chapter supports the McMaster Children's Hospital and the Gamma Chapter supports the Guelph Wish Fund for Children. Though the aforementioned charities are the chapters' primary focus, Delta Pi supports many other important causes and organizations. Proudly operating since 1989, many Delta Pi alumni continue to come out to sorority events and support the sisterhood. Alpha Recruitment: Fall Rush Season, September 2019! Beta Recruitment: Fall Rush Season, September 2019! Gamma Recruitment: Fall Rush Season, September 2019! Delta Recruitment: Fall Rush Season, September 2019! For more information contact our rush chairs! Follow us on all our Social Media accounts to keep up with us!